According to IGD, the international grocery research organisation, Asian consumers are exceptionally open to new technology. The year 2019 will see digital and technological innovations in Asia, particularly those helping retailers to differentiate their offer, raise service levels, develop stores that are set up for an online future and deliver more efficient operations in the face of rising costs IGD predicts. Ultimate convenience, social shopping, partnerships, health and freshness and technology transformation are the top five trends set to influence and shape Asia’s grocery retail market over the next five years, according to IGD. Looking for Ultimate Convenience by the consumers is the top most influencer among the top five to shape the next year and beyond. Changing lifestyles mean shoppers across Asia are becoming increasingly demanding. Shopping little and often is a growing trend and consumers expect to be able to source products anywhere, anytime and anyhow they like. Retailers are adapting their operations to respond to this change in consumer behaviour, driven primarily by the millennial shoppers, convenience store chains continue to rapidly expand their networks. Stores are using space in new ways, retailers are developing smaller and more unique stores and online delivery times are being reduced. In line with the above, the success or the failure of adoption of any consumer-targeted technology would be determined primarily by two factors, which are usability of technology and the establishment of trust. In addition to the Smart phone based apps itself driving consumer adoption, proximity-based technologies such as Apple’s iBeacon creates potential customer pull impact by its ability to broadcast messages to nearby devices. For example, a retail store might be able to broadcast an attractive promotion to nearby potential customers and entice them to visit the store. Imagine a situation where customers walk down the street and pass rows and rows of businesses without engaging because they need a reason to engage. It might be in the form of a simple push notification coming from a store, inviting them in for a cup of coffee, a 50% discount offer for an electrical good, or a chance to sample a freshly baked loaf of bread. It is absolutely an exciting way to engage with customers, especially if the content resonates with them. As long as the messages are personal and sound authentically human, not an automated bulk message, consumers will pay attention. This where we are moving. The other aspect is the establishment of trust among the users of mobile payment applications. The fast emerging innovations in biometric based technologies have certainly improved security, thus, enhanced the trust and provided better user experience. Authentication technologies such as facial and finger print recognition via smart devices have vastly improved customer perception of trust and are becoming widely available. Imagine the implications where all you need is to do now is to either look at your Smart phone or touch it with your finger to get authenticated. These amazing technology innovations coupled with 1-click payments provides ultimate convenience to consumers. It is not a surprising aspect that the above research has identified that providing ultimate customer convenience as a top most factor for driving consumption. In line with this, the advantage of adopting a strategy around the use of Smart phone apps is that it would provide ultimate convenience to busy individuals. 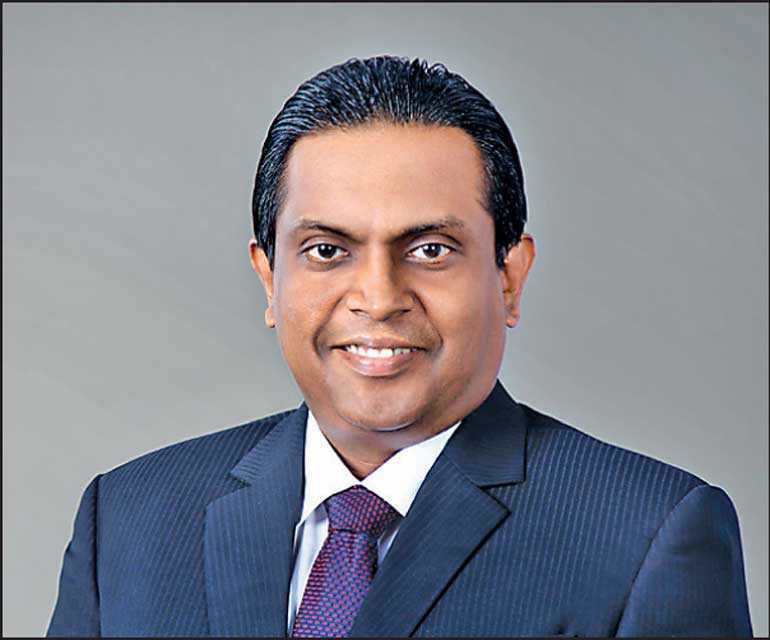 Lanka Clear General Manager/Chief Executive Officer Channa de Silva is very excited about the fact that concepts like Uber Eats is now in the market. It is no more a pipedream to be able to order dinner after work from a small boutique food outlet and get the food delivered via a delivery service such as “Uber Eats”, “Quickee” or “Grasshoppers” by the time you go home without having to physically visit the shop. “People wouldn’t mind paying a small convenience fee for making their lives easier, which would save them a lot of time, money and the hassle,” he elaborates. Such opportunities would lead to further innovation, as apps can be created to coordinate between small retail shops and independent delivery services so that even a ‘Thosai kade’ would be able to deliver food to homes or even a hardware shop would be able to deliver a bag of cement to a construction site without having its own delivery channel. “We are used to, as consumers in Sri Lanka, going through a lot of hassle to get even the most basic consumption requirement fulfilled. However, this situation is changing fast as more and more people are looking for convenience. We are seeing many new technology players are coming into the market and creating an impact to address this need and already making huge inroads in driving consumer consumption,” explains de Silva. We are experiencing the emergence of a new and exciting business model where some organisations are now going to market and offer business as a service without even owning a single product or a service they offer. Some of the examples are PickMe – convenient taxi, Uber Eats – favourite delivery channel, UpWork – outsourced workforce and Airbnb – private lodging. However, all of them have one thing in common among them, which is they do not own a single asset of the service they are selling. For example, PickMe does not have their own vehicles, Uber Eats has no delivery bikes, Upwork has not hired any workforce and AirBnb does not own a single property they provide. The underlying enabler for all these businesses is the fact that a large segment of the world’s population (>2 billion) is now connected to each other via Smart phones 24X7. What is the end result? This disruption is leading to elimination of traditional business models. For example, Yellow Cabs, the dominant taxi service at the time, was wiped out from business by Uber in San Francisco within a few years of entering into that market. That is the power of this new business model. In line with the research results and geared to address the ultimate convenience seeking behavior of the modern consumer, JustPay is fast becoming the de facto standard for all retail payments in Sri Lanka. The volume of transactions for JustPay has achieved a staggering 40-fold growth and the total transaction value of almost 50-fold growth over the past six months, which is a testament to the massive potential for this payment mode in the market stated de Silva. Launched with the aim of converting the current large number of cash based retail payments into cashless, several Smart Phone Payment Apps have gone live with JustPay since January 2018. JustPay, a brainchild of LankaClear, intends to leverage on the increasing popularity of smart phones in the country by enabling such devices to make everyday payments without using credit or debit cards. With the rise in use of smart devices among the population, more than 45% of the mobile phones have already been converted to be smart phones while the adoption rate is rising rapidly. This revolutionary initiative is fast becoming the de facto payment mode for retail payments, which is providing ultimate convenience to busy consumers. The Smart apps powered by JustPay that are emerging attempts to solve the common problems encountered by the general public and bound to harness the massive opportunity it presents. Already a number of innovative apps have gone live on JustPay, such as UPay, IPay, DirectPay, OrelPay, Dialog Genie and Sampath PayApp etc. While Dialog eZ Cash, Mobitel mCash and FriMi are using JustPay payment mode to top up their payment wallets. Several more apps are at the verge of going live with JustPay to add to the already impressive lineup. Customers of Bank of Ceylon, Commercial bank, Sampath bank, People’s Bank, Cargills bank, NTB, HNB, PABC, LOFC and Commercial Leasing and Finance are already using the above apps that are currently live. We have experienced a massive 20-fold growth in JustPay new registrations during the past six months, which clearly indicates the acceptance of this payment mode among many segments of the population. JustPay has provided the ultimate convenience to customers in making payments and has already begun to create a few ripple effects in the retail payments landscape in the country. The frictions experienced at the customer touch-point of making a payment has resulted in a majority of the population from not moving into electronic payments and continuing to use cash. One such hassle is when making a fund transfer it requires a customer to key-in a considerable amount of data about the intended receiver of the payment including their bank name, account number and branch code, etc. The current mechanism is very cumbersome and people naturally shy away from a system where they have to go through multiple steps and enter a lot of information just to make a payment. “We are at the verge of introducing a new system to make a peer-to-peer payment absolutely simple, which we feel is a definite Game Changer,” said de Silva. In order to simplify the payment process, we have implemented a centralised system where the account holder’s bank would be responsible to issue a “nickname” to each of their authorised bank accounts. “We have appropriately named this “Payment Exchange Name (PEN). A customer merely needs to know the payment receivers mobile number and the PEN of the bank account to transfer the funds via their Smart mobile phone,” explained de Silva. The merchant in a small retail shop (i.e. laundromat) only has a personal bank account and making a payment to him by a consumer is simply a peer-to-peer payment. All a consumer needs to know is the smalltime merchant’s mobile number and his PEN to make a payment. “We feel that PEN is going to absolutely revolutionise the, currently almost negligible, peer-to-peer payments ecosystem in Sri Lanka,” he opined. We are also in the process of implementing Lanka QR code payment channel for the merchant’s end, which was recently announced by the Central Bank. “All a merchant would require is a Lanka QR code sticker pasted at his shop or a PEN to accept a payment and a low cost mobile device to receive a SMS alert to indicate that the payment has been received to his account. Even a king coconut seller would be able to easily join the system with a PEN or Lanka QR code and a simple mobile phone (feature phone) to receive SMS payment alerts to complete the payment cycle. It is going to be extremely simple for consumers to make payments and it is bound to turn the entire payment landscape upside down. When we make the systems so simple to use, we anticipate that it will enable customers to easily make a payment to a small-scale grocery shop, corner laundromat, a tuition teacher or even a domestic worker. We are very excited about the potential of the massive opportunity that is staring in our face to replace cash payments,” beamed de Silva enthusiastically.